Our theme this week is "FANCY DRESS" which we are combining with the build up to Heritage Day on 24 September. We have asked all the teachers to dress up in something traditional on Monday and would love it if the volunteers could also wear something relating to their heritage - even if it's just a hat, a flag or whatever you may have. 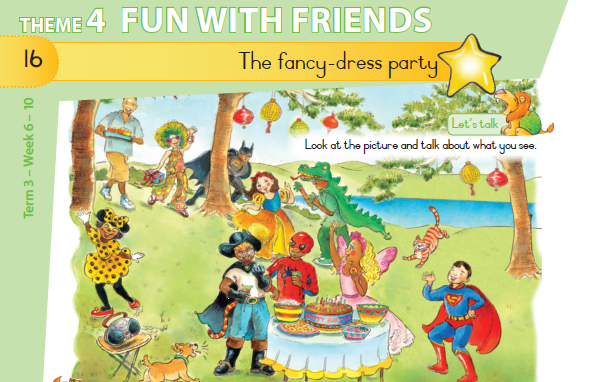 A few minutes of the lesson will be spent explaining what a Fancy dress party is and about Heritage Day. All volunteers will have the opportunity to share something about their country or culture with their group. Click here to read more about Heritage Day and why we celebrate it on this day. We had a great time at the Zoo this week and the Grade 3 learners really enjoyed the morning. We seem to have missed Spring and gone straight into Summer- so at 29 degrees - it was HOT! Thank you to our wonderful volunteers and teachers who made the day a great success and for inviting so many of your friends to assist. Please visit our Facebook Page here to see more photos and a very cute video prepared by Jeanne .... click here to watch.